Unibet Poker is a member of the Unibet brand that has been operating since 2006. Unibet is one of those that are more geared towards the Euro market but they do promote themselves to a global audience. Unibet chose to partner right from the start with Microgaming. This is due to Microgaming gaming offering multiple e-gaming solutions including casino, bingo and a live casino. Additional products include sportsbetting and a game section. Looking at the poker room players considering Unibet will find the iPoker network that is operated by Microgaming to offer multiple tournaments, sit’n’go’s, loads of cash tables in a wide range of limits, qualifiers to world events and more. 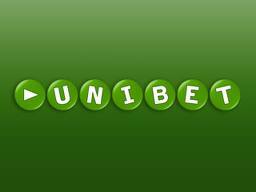 As Unibet is part of the iPoker network you can have assurances of a high volume of traffic but more importantly a software platform that is proven to be reliable, safe and easy to navigate within. While many may fail to consider these elements of the software it actually has a large impact on the experience and enjoyment that is received while using it. Poker games offered include the standard Texas Hold’em, Omaha Hi-Lo, Omaha, 7-Card Stud Hi-Lo, 7-Card Stud, 5-Card Draw and Razz poker. The Unibet poker software is able to be downloaded or can be played within your web browser. Unibet further offers players the ability to play by accessing a mobile poker platform. Those who do not use English as their language will be interested to learn that the software is available in Dutch, French, German, Italian, Swedish and Spanish. Each of the different software platforms allow for multi-tabling options and the ability to customize how the tables are viewed, game setting may be set and more. Those looking for selection will further be impressed at the volume of available tournaments that they can participate in. The buy-in’s for tournaments begin at €1 and go up from there with some events increasing to as high at several thousand pounds to enter. One interesting series of tourney available is the country of origin freerolls. Only those who reside in the particular country listed for that freeroll may enter. Unibet consistently creates exciting promotions for its poker players. Those new can enjoy one of three welcome bonuses with each geared towards different levels of play. Choose between a €100, €300 or a €500 welcome bonus. The different between the three bonuses is based on the amount you intend to play at Unibet. If you are likely to play a lot then the larger welcome bonus is ideal whereas if you are a casual player then the €100 bonus is more suited for you. Unibet, like most other online poker rooms offers a decent selection of ways to contact someone in the support department. As Unibet operates a large gaming site players may opt to use email. Live chat or speak direct through the telephone. Unibet only employs experienced and qualified support professionals who are ready to assist when you need it. To deposit at Unibet players may select any of the multiple options available. Selections offered include standard credit cards, online payment providers like Skrill and a number of prepay card options. Withdrawals are process on an on-going basis Monday to Friday. Payments tends to be received within 48-72 hours.